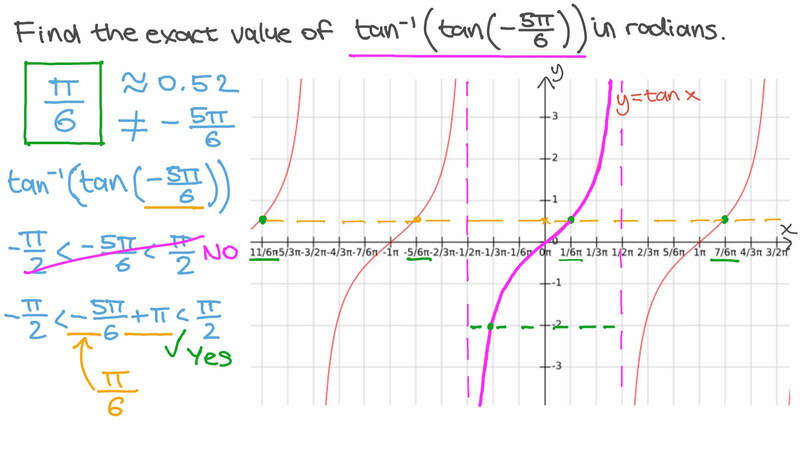 In this lesson, we will learn how to graph the tangent function and the arctangent function and describe the features of these graphs. Find the exact value of t a n t a n − 1   − 5 𝜋 6   in radians. Which of these two value tables shows a domain of the tangent function that can be used to construct its inverse function? Which of the following is the graph of 𝑦 = 𝑥 t a n ? Which of the following is the graph of 𝑦 = ( 𝑥 + 9 0 ) t a n ? 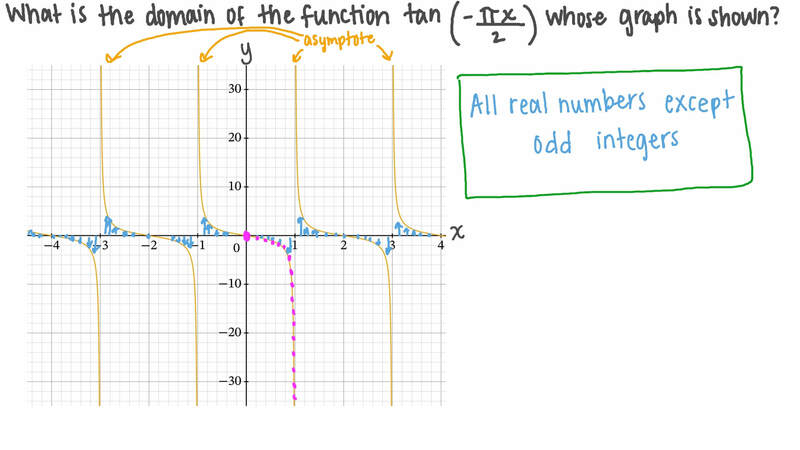 What is the domain of the function t a n  − 𝜋 𝑥 2  whose graph is shown? 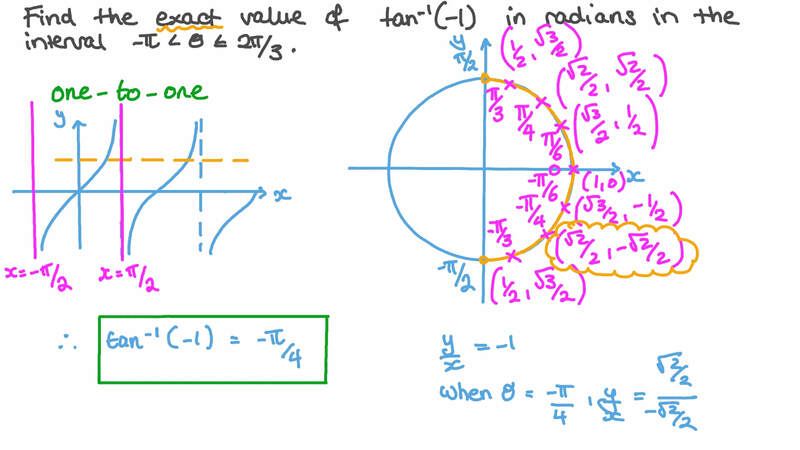 Find the exact value of t a n − 1 ( − 1 ) in radians in the interval − 𝜋 < 𝜃 ≤ 2 𝜋 3 . Which of the following is the graph of 𝑦 = − ( 𝑥 ) t a n ?